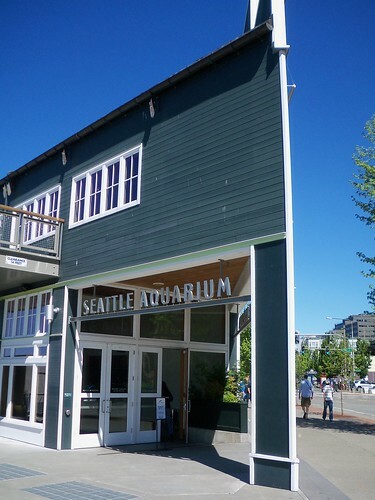 I was in Seattle last weekend and at one point Saturday morning I made a spontaneous trip to the Seattle Aquarium (hey, there was a line, I got in, I'm a Star Wars fan). 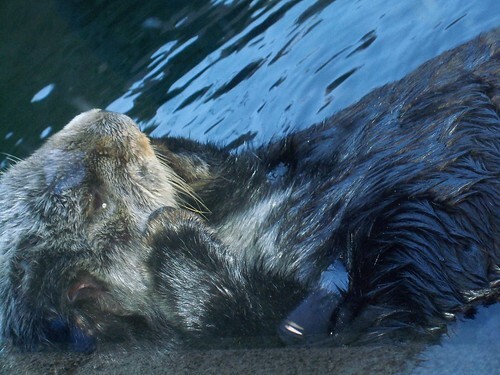 And outside of the Finding Nemo flash-backs, the clown fish, the jellies, the enem- enam- enamies (or however they're spelled) there were otters! 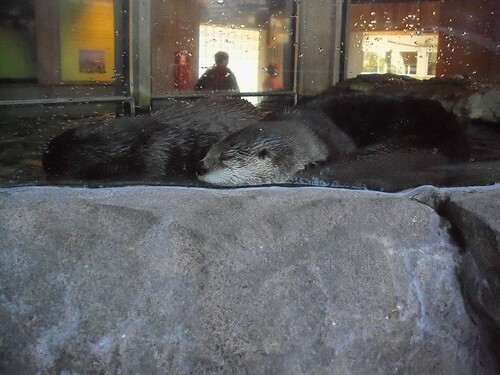 Sea-otters that looked like they just got up from a wild night and were still feeling the after-effects of it, and river-otters who just wanted to sleep in all morning. Plus, if I knew sache8's address, I might have gotten her a shirt or two from the gift shop. Despite rumors, it's always sunny in Seattle! 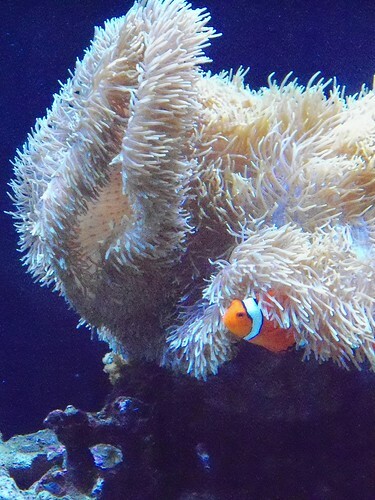 Marlin is still looking for Nemo! Kelly Chambers has a lot of work ahead of her. "Somebody get me an aspirin." "Let me sleep-in for once, please!" 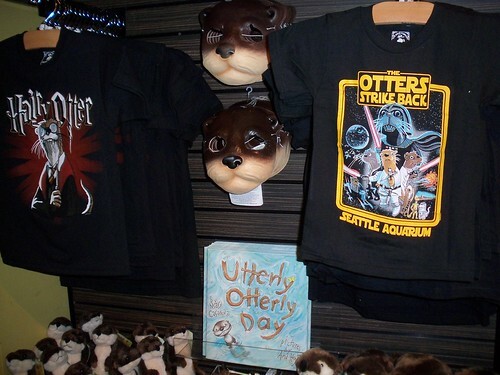 I don't know how big of a fan of otters sache8 is, but I'd think she'd probably already have something like these. Or not. 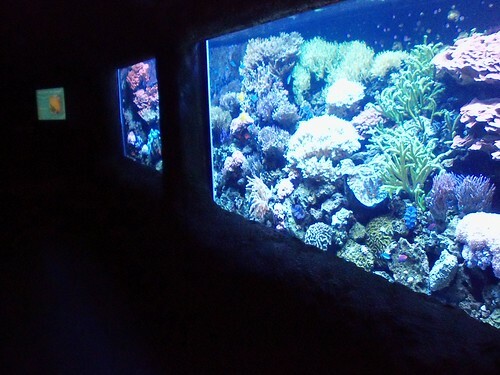 I LOVE the Seattle Aquarium! I went there on my first and only trip to Seattle.